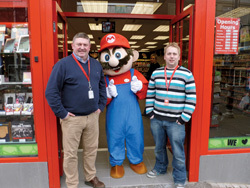 When friends, Stuart Dixon and Trevor Finlay, invested in their first CeX store in Derry, Northern Ireland, they were hoping to make a bit of money as their own bosses. Now, with three premises, the pair are setting the standard for retail businesses in the area. "Being able to become a franchisee within the business I have grown up in has been a great opportunity for me. I had always wanted to work for myself." Stuart and Trevor teamed up after realising the potential of combining their individual skillsets and experiences. Stuart used to work as a Store Manager in a CeX store and so understood how the business operates. Trevor, on the other hand, had real-world business experience with retail companies and saw the benefit of adopting the CeX structure - the idea of running a company for themselves appealed to both of them. Stuart says: "Being able to become a franchisee within the business I have grown up in has been a great opportunity for me. I had always really wanted to work for myself." To buy their way into the franchise, the pair raised bank finance by careful business planning, by supplementing existing savings with help and support from their bank. They both believe that CeX's approach to financing has been a real benefit to their business. 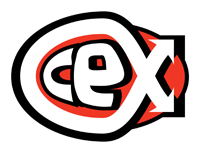 Trevor says: "CeX has helped by ensuring the banks have a solid understanding of the way in which the brand works." The guidance CeX has provided to the nation's banks about its operations has been reiterated across its support network and processes. Now, the pair have three stores in Northern Ireland and the support from CeX continues to help them look for new business opportunities. Stuart continues: "Despite being well-established, we have ongoing operational support from our local Operations Manager, which is invaluable in ensuring that our businesses continues to develop and grow. In retailing, every day brings new challenges and we could not do things as successfully on our own." Trevor adds: "The changing economic situation here in Northern Ireland is a challenge. However, CeX's model continues to grow successfully and it is now growing in Ireland too, which can only help things further in the future. We love the business and we have confidence in it." The partners are intoxicated by the independence that running their own business has given them, but are mindful that each new step needs to be thoroughly thought through if they are to continue to thrive. Stuart says: "Understand what you are planning to do and talk it through with friends or respected business people who can give you some impartial advice. Talk to some of the existing franchisees and consider whether you may fit-in." Currently, the pair are continuing to look forward, with a view to expanding into a fourth store in years to come. Trevor concludes: "Our plans are to open another CeX store when we are in the position to do so. It's given us both independence, running a business we love."